The Golden State Warriors are an American professional basketball team based in Oakland, California. The Warriors have won four NBA championships. They most recently won the NBA championship by defeating the Cleveland Cavaliers in the 2015 Finals. Since its foundation in 1946, the logo of the basketball team has undergone several changes. 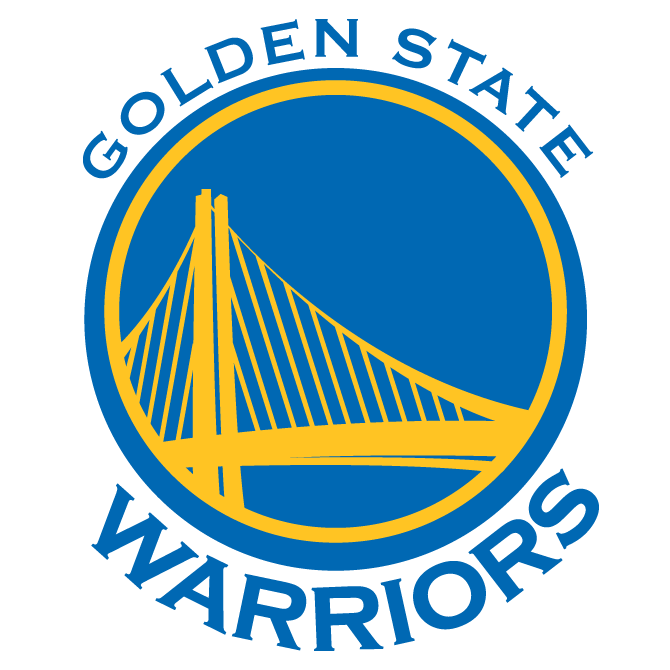 The current logo of the team, which has been in use since 2010, features a span of the Bay Area Bridge in yellow on a blue circle with the team name around it and the font used for the team name is Copperplate Medium (GOLDEN STATE) and Copperplate Bold (WARRIORS). 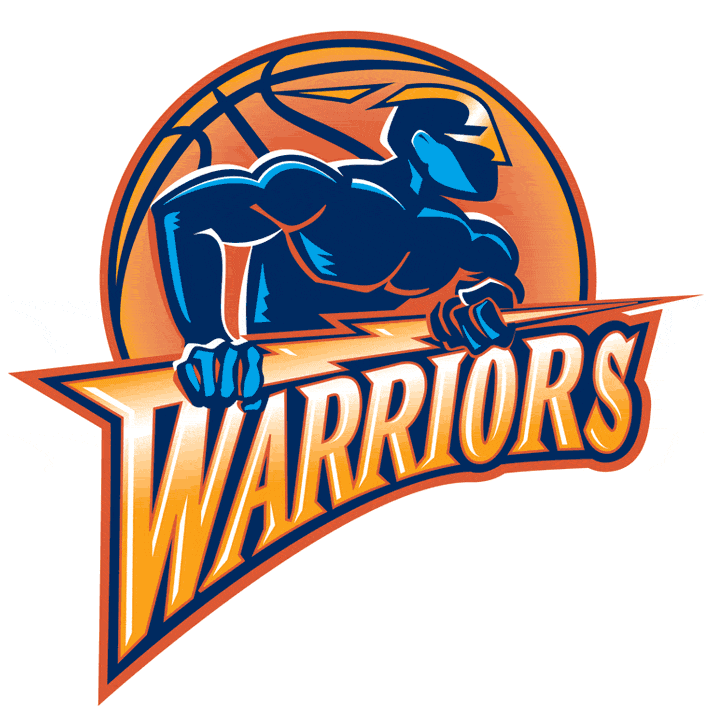 The image below, which depicts a blue warrior holding a lightning bolt in front of an orange basketball, is the logo used by the team from 1997 to 2010. The text in the logo is probably designed based on Matrix II Bold. 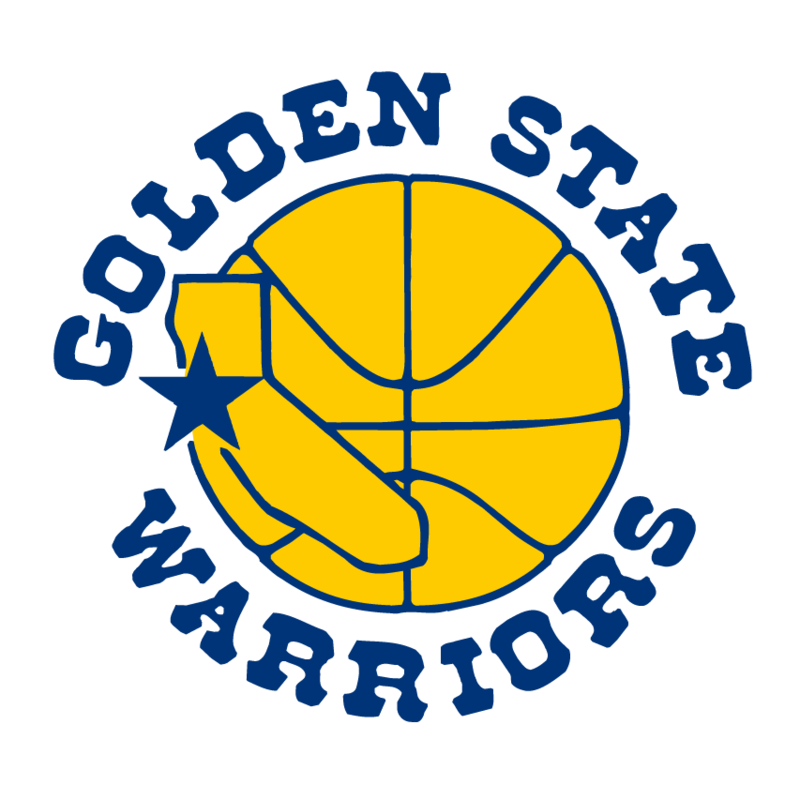 Lastly, let’s take a look at the warriors logo used from 1988 to 1997. The logo features the shape of California map in yellow with a star on the Bay Area on a yellow basketball. The team names is written around the ball with a western style font, which is very similar to Red Dog Salon.